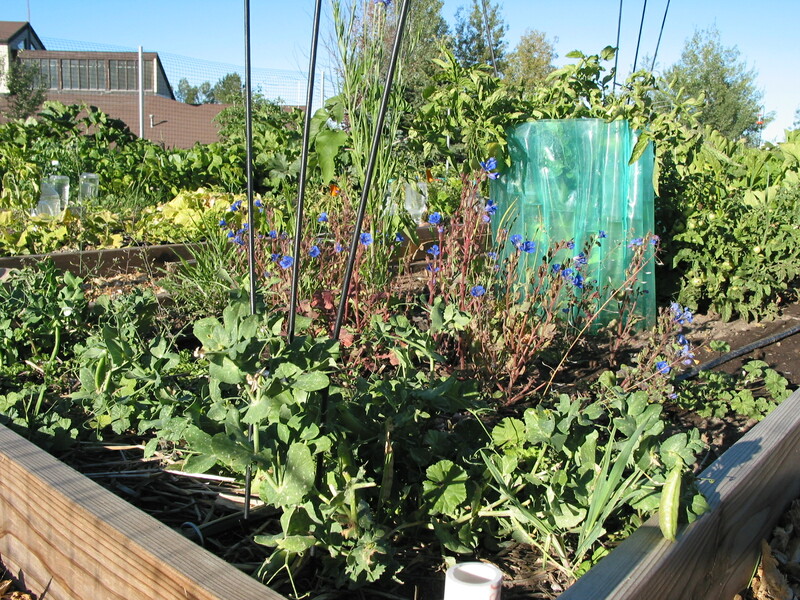 The Community Garden enables people to grow vegetables for their own consumption. 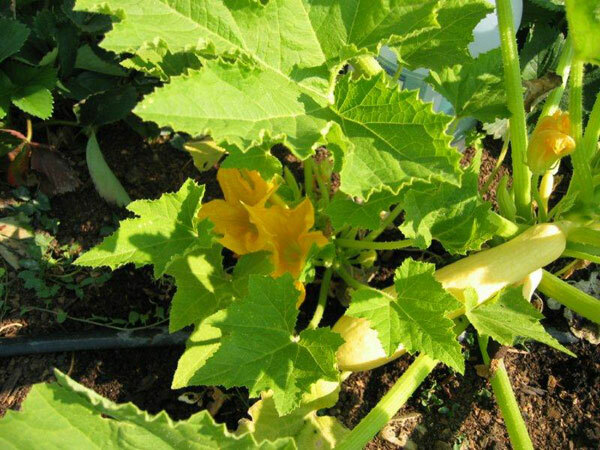 Beds in the garden are rented for the season. 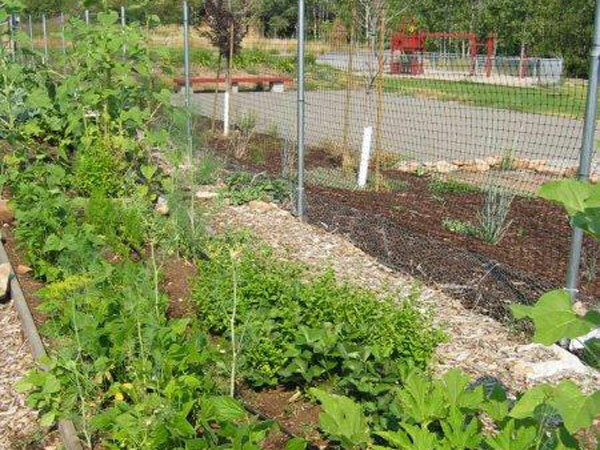 The garden features a drip irrigation system and fencing to keep out large animals. Beds are 4 feet wide by 16 ($50/year) or 25 feet long ($65/year). Gardeners are asked to contribute three or more hours of their time by participating in a spring garden work day and general maintenance throughout the season (especially pathways). 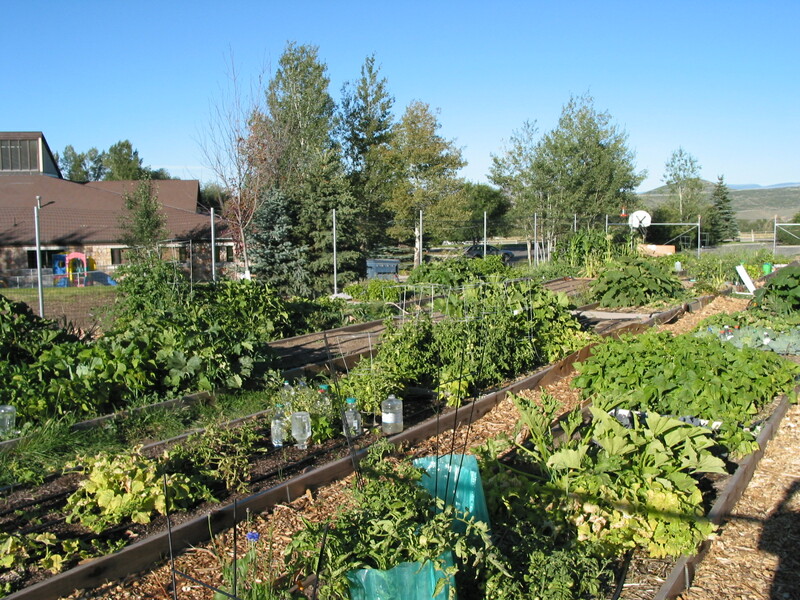 The garden is part of the church’s commitment to help people reduce their carbon footprint and provide nutritious food for themselves and community members who do not have access to garden space. For information and to reserve a bed, please email Mary at kmusikmary@gmail.com or Kari at kari@spigotdesign.com. 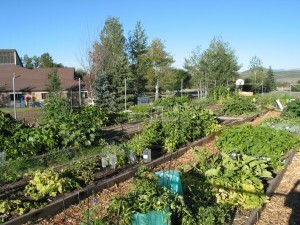 The community garden lush and ripe with produce.